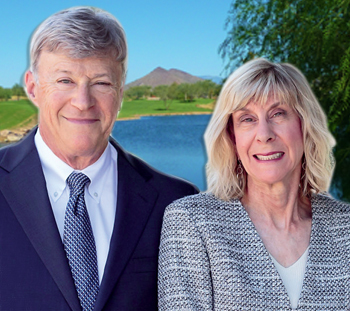 At Friedman Realty Associates, we’re not just your local Vistancia Village, Trilogy at Vistancia, and Blackstone at Vistancia home buying and selling specialists — we’re also deeply invested in the local community. We host or support a variety of fun community events, activities, and fundraisers throughout the year! Bookmark this page, then come join us and plan to have some fun! Whether you're moving in or moving out or just want to clean out your files, it's time to do some packing and cleaning! Be sure to attend our Annual Shred Event Saturday, Ma rch 23, 2019, between 9am-12pm. We’ll shred the first two boxes of personal documents free! Proceeds will be donated to St. Mary’s Food Bank. Our thanks to 1st Computer Solutions for allowing us to park the shred truck in front of their store! Two boxes are complimentary. Additional boxes can be shredded for only $5.00 each. Up to 16" x 12" x 10". All proceeds go to St. Mary's Food Bank. 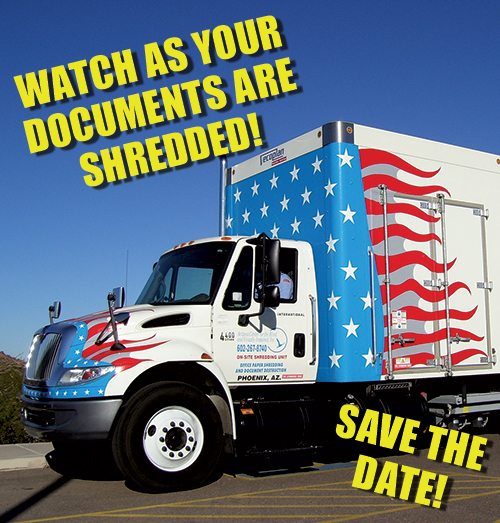 Call our office at (623) 476-2491 for more info about our #ShredWithTed event, and our other events during the year! Friedman Realty Associates was proud to sponsor the Putting Contest at the 8th Annual Singleton Moms Charity Golf Outing Monday, April 9th, 2018! Singleton Moms was founded in 2006 by two Valley women who watched their childhood friend, Michelle Singleton, succumb to cancer. The non-profit organization is dedicated to bringing hope, help, and support to struggling single parents in Maricopa County who are fighting the disease. In 2016 this event raised over $57,000. Blackstone Country Club has raised over $284,000 for Singleton Moms since 2011. We celebrate our veterans with American flags -- a tradition we began back in 2005! We will have American flags available at our Open House listings for Trilogy neighbors to stop by and pick up to place in your yard for patriotic holidays! 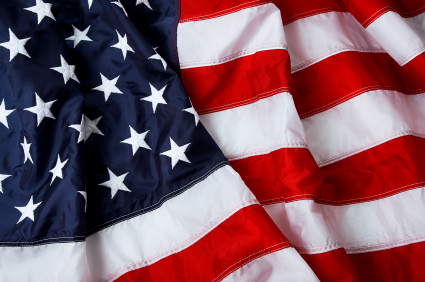 We Provide American flags for the following holidays: Memorial Day, Fourth Of July, Flag Day, and Veterans Day!! Celebrate Halloween in style with the whole family—including your furry friends! 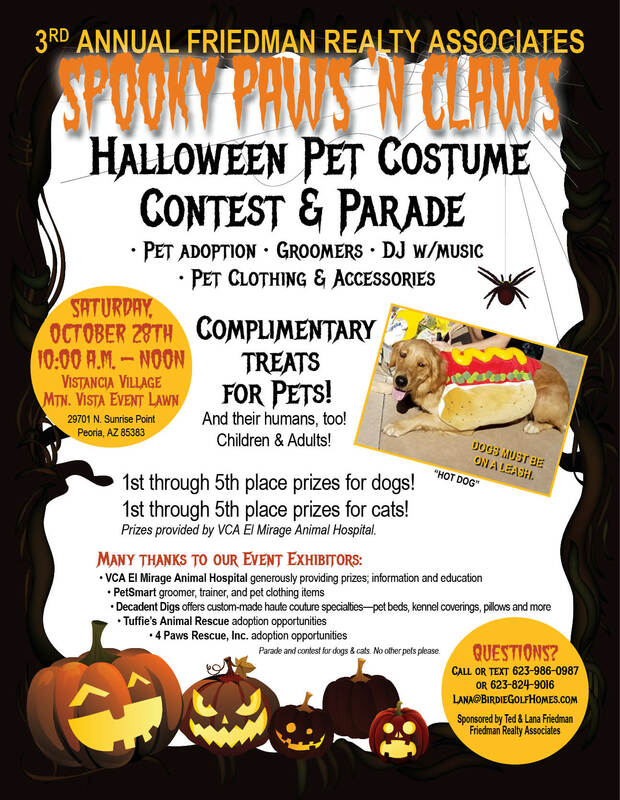 Dress up your cat or dog in their most creative Halloween costume and head out to the Vistancia Village Event Lawn for the Pet Costume and Parade! We give prizes for first through fifth place. There is music, activities, and snacks and drinks for all! We'll post photos to our website after the event! TOGETHER, WE HELPED COLLECT OVER 5,000 ITEMS FOR THE 2016-2017 WINTER WEAR CLOTHING DRIVE! THANK YOU FOR YOUR DONATIONS AND SUPPORT! We teamed up with Delia's Cleaners to provide winter clothing for UMOM New Day Centers. Founded in 1964, UMOM is a non-profit located in Phoenix, AZ. They provide shelter and supportive services for homeless families. The mission of UMOM New Day Centers is to prevent and end homelessness with innovative strategies and housing solutions that meet the unique needs of each family and individual. Families at UMOM have the opportunity to gain the skills, medical care, quality child care, and education they need to rebuild their lives and succeed when they leave.